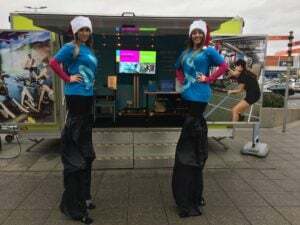 TCM are proud to be the largest UK provider of trailers for high street marketing and customer acquisition campaigns, managing over forty sites per week for a range of household names. 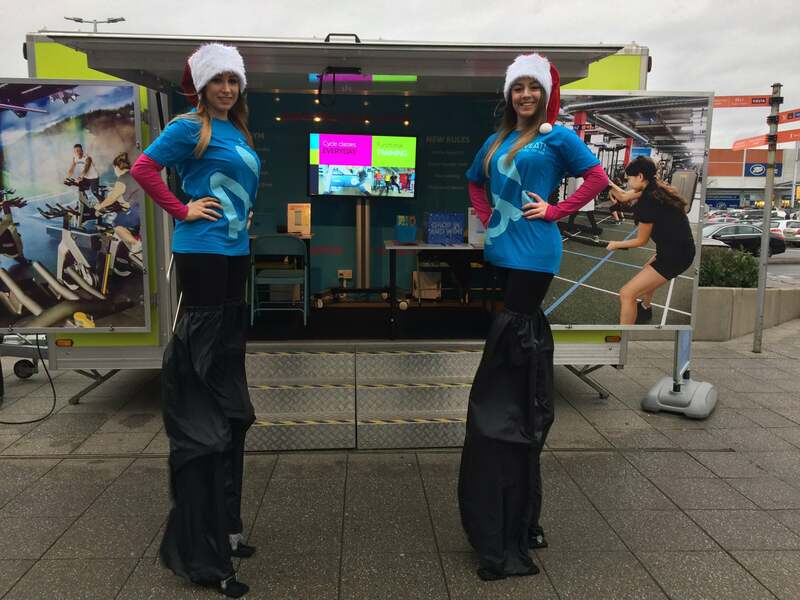 High street trailer hire gives you direct contact with potential customers, providing face-to-face marketing and promotional activity in high footfall locations with no capital outlay. 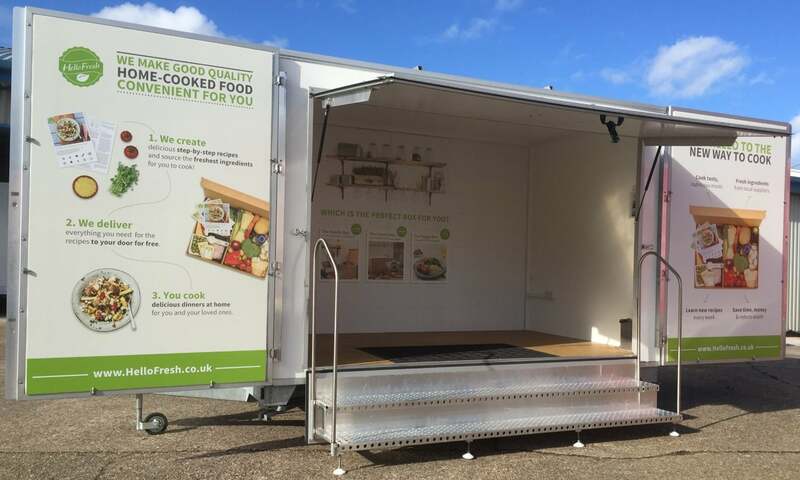 We don’t ask for long-term contracts, and as long as permanent graphics aren’t used you can turn your high street trailer campaign on and off as required – for example if you need to tie in with national deals, or are testing a new area for the first time. 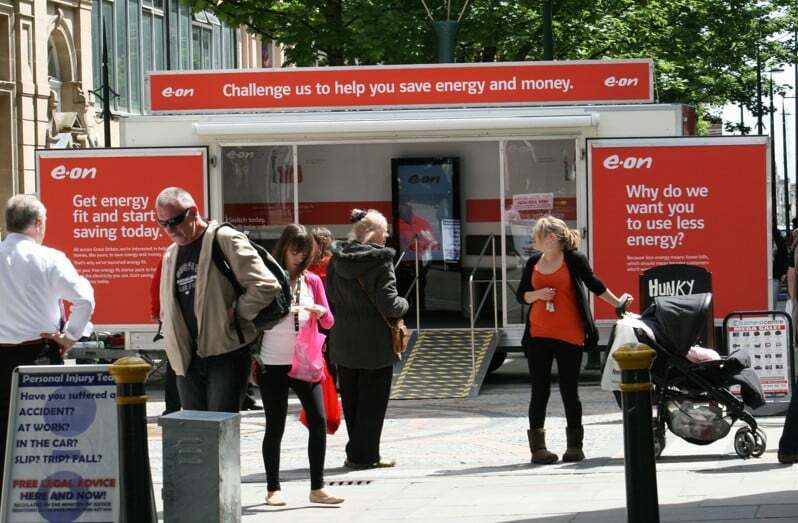 We have worked with the market leaders in field sales including multiple trailer campaigns for Virgin Media, Talk Talk, e-on, EDF Energy and Love Film. Our early clients included Sky TV, Bulldog Broadband and Dog’s Trust. 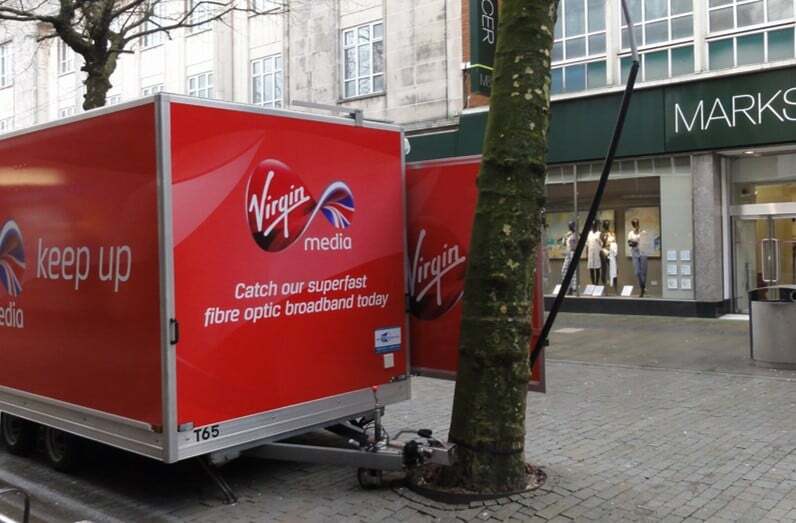 We are currently actively managing large-scale trailer campaigns across mainland Great Britain for the sales channels of two major multi-national telecommunication companies covering up to 45 locations each week at a high street near you. If you need advice or assistance with booking high street sites, we can provide information on over 400 suitable venues and costs, giving you the benefit of over 10 years’ experience with high street trailer campaigns. If you want us to book the trailer site for you, we charge a booking fee of £90 plus VAT on top of the venue cost to complete all the paperwork and obtain any licences required. Why use TCM? 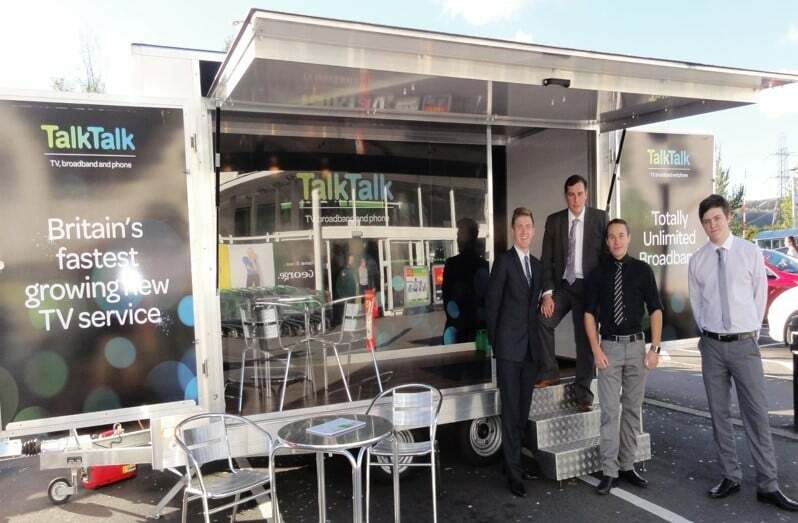 We are not just a call centre – remember we are actually visiting high street locations to deliver trailers on a weekly basis and have a direct relationship with many of the town and city centres that offer sites for commercial promotions. High street trailers are delivered direct to site at the start of the hire period – usually overnight on a Sunday to avoid traffic and pedestrians so that they are in place on Monday morning when your staff arrive on site. During the start of your campaign, we will meet your staff on Monday morning to ensure they are trained in the use of trailers which are designed to be very simple to use. We use combination padlocks (so no complicated key handovers), and once your agents arrive at the trailer, they can be set up and ready to sell within five minutes. As the trailer campaign continues, we move the trailer overnight and you don’t need to meet us, just use the combination padlocks, open up and start to promote. Most trailer campaigns run Monday to Sunday with a week in each location, but if you do decide a venue is working for you and stay at the same site for more than one week, we offer discounts for the second and any subsequent weeks. A range of additional services are available for an extra charge. 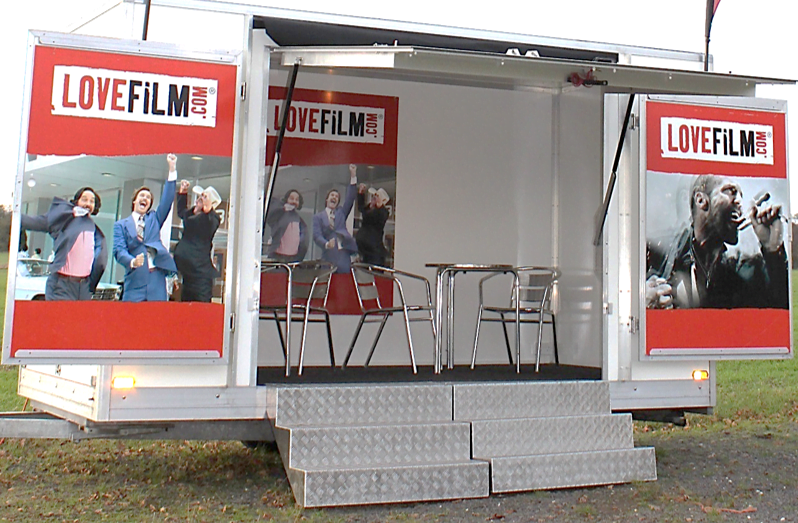 For example, trailers can be equipped with generators to power lighting and heating; flatscreen TVs or digital screens can be fitted on request and we offer a full graphics/branding service. We also offer hot drinks and cooled water, and many trailers include weather protection to ensure that promotions can be run all year round – no more running down the high street after a gazebo in a gale! Typical prices vary according to the length of the campaign and the number of trailers required but typically start at £795 + VAT per trailer per week. We are happy to negotiate reductions in hire prices for multiple trailers and regular bookings. Or, why not discuss self drive options with us? To help you budget, our high street trailer hire prices all include delivery and collection, with one price covering the whole of England and Wales so you don’t need to refer back to us each time you are targeting a new location. There is a fixed additional charge for venues in Scotland, whilst prices for Northern Ireland and Ireland do vary more as we have to take the ferry, so we often recommend a longer-term campaign for these countries. 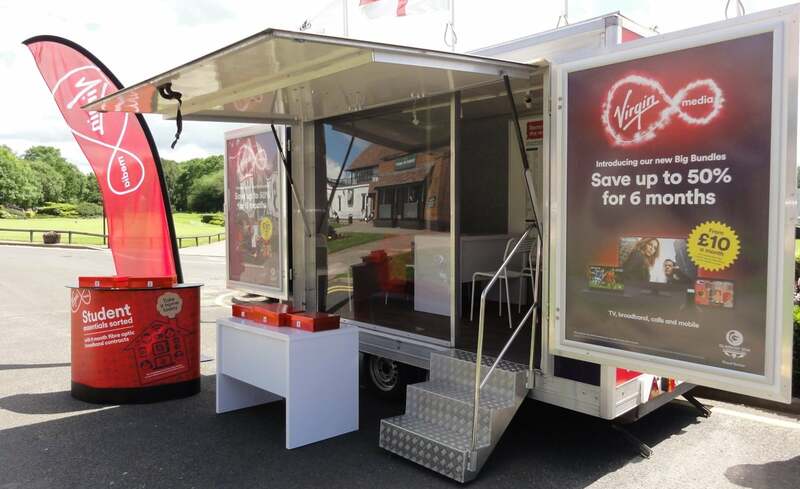 If you are considering a new way of taking your message to the high street and want to talk to us about high street trailer hire, call Lindsey on 01543 546474 to find out more.